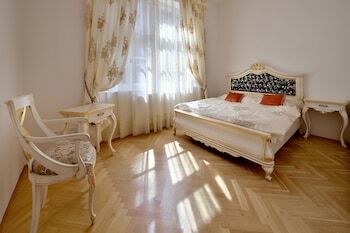 Located in Bratislava (Stare Mesto), Ambiente Serviced Apartments - Tallerova is within a 15-minute walk of Primate's Palace and New Bridge. The front desk is staffed during limited hours. A roundtrip airport shuttle is provided for a surcharge (available 24 hours), and self parking (subject to charges) is available onsite.